For those connoisseurs of James Bond, it is hard not to notice the fine-looking powerful sport car of Her Majesty secret agent of 007. 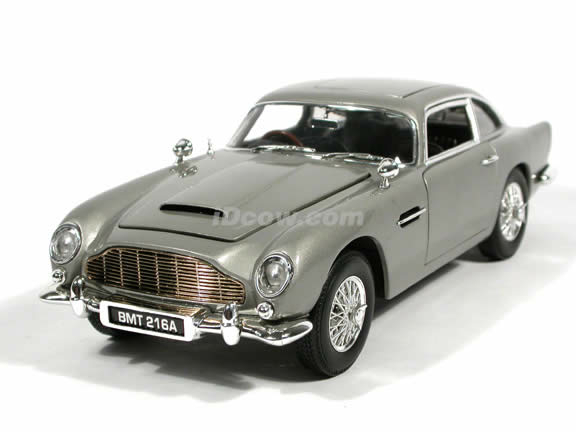 The legend started when the author, Sir Ian Fleming, decided to give an Aston Martin DB III for his James Bond hero in the seventh novel Goldfinger, although it was Aston Martin DB 5 that Sean Connery drove in Goldfinger the movie. From then grew a long and very close association between the British spy hero and the marque that started with DB 5 of Sean Connery’s Goldfinger in 1964 to the new DBS of Daniel Craig’s Quantum of Solace in 2008. A British manufacturer of luxury sports cars that based in Gaydon, Warwickshire, the Aston Martin has the name that is derived from the name of company’s founders, Lionel Martin, and from the Aston Hill speed hill climb nearby, Aston Clinton in Buckinghamshire. Founded in 1914 by Lionel Martin and Robert Bamford, Aston Martin has always in the realm of sports car since the very beginning. A passionate racer himself, Lionel Martin is also a respected racer at the Aston Hill speed hill climb. 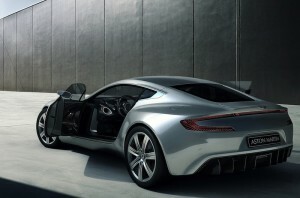 With the concept of combining three important elements of power, beauty and soul, Aston Martin has become a manifestation of the founder’s dream who strongly believed that a sports car should have a distinctive and individual character, it should be built to the highest standards and most importantly it should be exhilarating when one drives and owns this magnificent piece. An extraordinary fact in an era of efficiency and mass production, all of Aston Martin sports cars are still hand-built even though the process has incorporated high technology in a very modern environment. Among many of Aston Martin’s specimens that demand attention is DB4, that some call as a defining model in Aston Martin history. 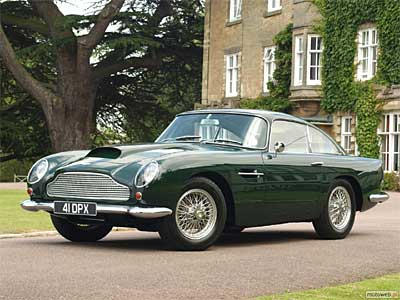 After over 50 years from its first production, the DB4 is still a firm favourite of Aston Martin enthusiast. It was the first British car that made the use of Italian ‘Superleggara’ coachwork technology. Combined a killer look with a then brand new 3.7 litre twin cam six-cylinder engine, DB4 was not just a beautiful car. With a top speed of over 210 kph, this fabulous car has also the features of advanced servo-assisted disc brakes all around to ensure that the car’s performance went hand-in-hand with safety. In those days, Aston Martin deliberately tested the DB4 on M1 motorway, the then technical director John Wyer said, “Partly for convenience, partly in order to simulate the actual condition under which our car might be used by their owner.” In this real condition test, the chief tester at that time, ex-racing driver Bobby Dickson could complete the full cycle of M1 motorway back forth, a distance of 200 kilometres, in 56 minutes with an average speed of 210 kph. With all the historical background of performance and style, it is no wonder that DB4 is thus far a much sought after collector items. As for other best quality product, Aston Martin has also attracted attention of British royalties. But the best known story is perhaps the long relation between HRH Prince of Wales with his Aston Martin DB6 MKII Volante that confirmed for over 25 years by his granting the automobile marque the Royal Warrant, a much coveted symbol of the best quality product that used by British royalties. It all started when the Prince of Wales got the Aston Martin on his 21st birthday. Back in 1969 the price of a gallon of petrol and the danger of global warming had never had scarcely been thought about. So consideration such as fuel economy and CO2 emission were probably the last things in the mind of the young Prince of Wales. 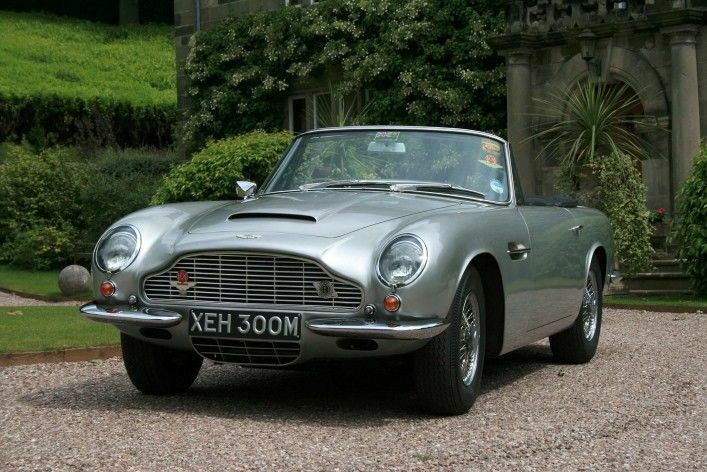 This Aston Martin DB6 MKII Volante has been accompanying Prince of Wales ever since, as he regularly uses it to attend public events. While other cars have come and gone from the prince’s garage, that blue Volante of his has remained a constant. Now a renowned environmentalist, the Prince of Wales began to look for a way to provide his beloved blue Aston Martin with the ‘greenest’ possible credentials, so he can continue driving it without burning irreplaceable fossil fuel that emits plenty of CO2. So it is natural thing that he contacted Aston Martin Work Service to find out if the old fashioned car can run on new alternative fuel source. As you have expected, the answer is resounding ‘yes.’ After seven months of research, development and conversion work, now the DB6 runs on the fuel of E85 bio-ethanol made from waste wine and cheese whey – what a suitable fuel for a prince’s car! 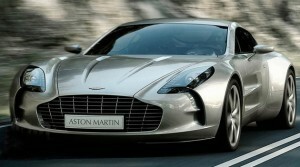 The newest chapter in the line of Aston Martin fine specimens is Project One-77. The stealthy silhouettes of this piece of automotive art are best described as the ultimate expression of Aston Martin’s design language and philosophy. 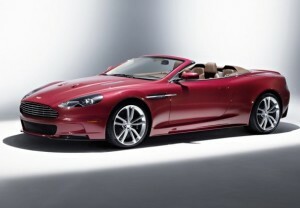 The project itself is a representation of the extreme application of Aston Martin’s know-how in terms of technologies, materials and technique that have been gained through the today’s Aston Martin generation – DBS, DB9 Coupe, DB9 Volante, V8 Vantage and V8 Vantage Roadster – added with many brand-new technologies. “We have a combination of modern technologies and craftsmanship, the monoqocue that is made from carbon-fibre, while the skin is handcrafted aluminum, and sure above all is that a good sports car must has proper dimension in wheelbase, track and center of gravity. Aston Martin understands small volume production and craftsmanship and this car truest quality will only apparent to the lucky few of 77 customers who will take ownership of this magnificent machine. Published in the 4th edition of PMR Magazine S’pore, March 2009.